Cool independent little video which tells it like it is. 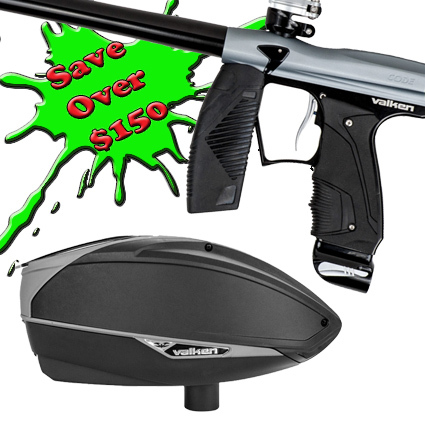 The Valken VSL or Valken Switch Loader got its name from being the only loader in paintball that can switch from .68 to .50 caliber in seconds. It doesn’t stop there - the VSL also comes with a click in capacity kit so that you can switch between low profile or high capacity on the fly without tools and without the need for another shell kit. And finally, the lid uses a press fit to easily “switch” from full rain lid to the optional speed feed. The VSL runs on 3 AA Batteries and has a simple one button on/off operation that anyone can use. The tool-less design boasts one of the quickest breakdowns of any loader as well as maintaining one of the lowest profiles of any hopper on the paintball market today.